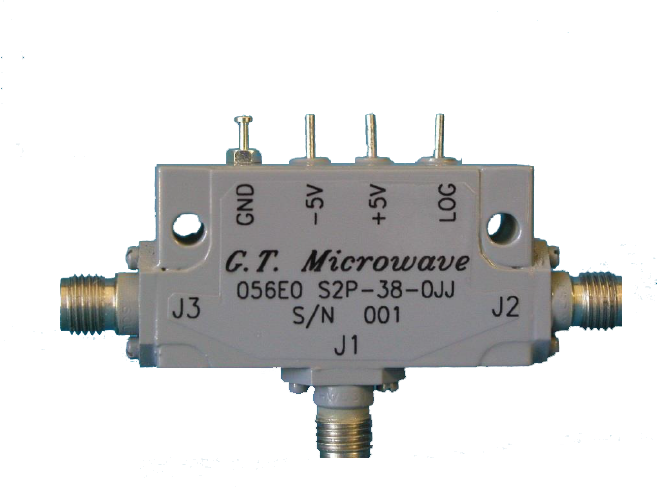 From 100 MHz to 24 GHz, any optimized bandwidth is available in absorptive or reflective models. Units can be customized for your application with offerings of various isolations, switching speeds, size configurations and even matched phase and amplitude. Control options include solder pins, SMA or SMC connector and Multi-Pin connector. TTL Compatible Logic: Logic ‘1’ = Low Loss J1-J3 and Logic ‘0’ = Low Loss J1-J2. For switches without a TTL driver, +1 VDC @ +50 mA = Isolation and -1 VDC @ -50 mA = Insertion Loss. For additional logic options, please consult the factory. Low DC Power Consumption: Switches with TTL drivers require ±5 VDC @ ±50 mA. 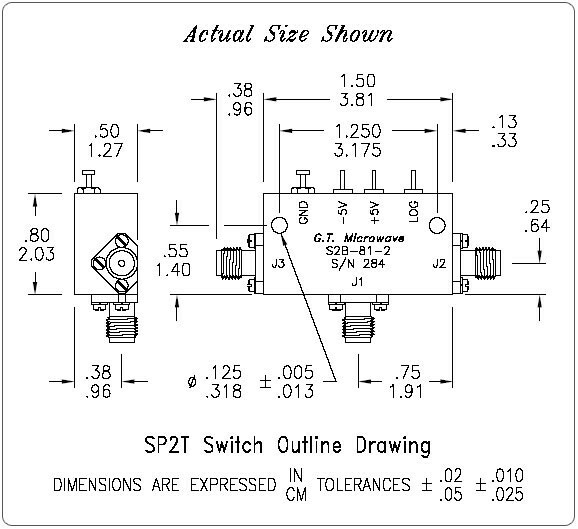 Absorptive Switches: The J2 & J3 ports are non-reflective. Matched Phase & Amplitude: Models listed are available with matched ports. Please consult the factory.